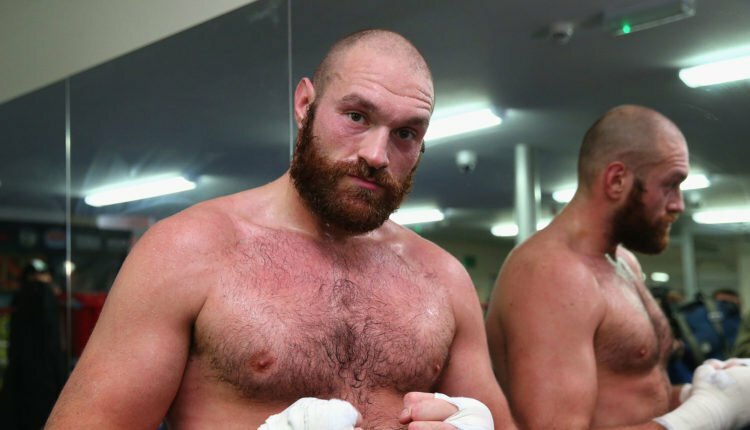 It seems that Tyson Fury will be making the trek to the United States this week, as he and Joe Joyce will train for December 1st in Big Bear California. In a story first reported by World Boxing News, the undefeated “Gypsy King” will have Joyce as his sparring partner, training at the gym operated by Gennady Golovkin’s coach Abel Sanchez. Joyce manager Sam Jones told WBN he’s looking forward to welcoming Fury for what will be a valuable experience for Joyce. “Tyson is coming to Big Bear. It will be great to have him over here,” Joyce’s manager Sam Jones told World Boxing News. Joyce acts as an undercard fight for Victor Ortiz and John Molina’s showdown in Ontario, California, in his sixth pro fight, and then will work with Fury to lead to his chance to beat Deontay Wilder for the WBC world heavyweight championship either at Staples Center in Los Angeles, or at the Mandalay Bay in Las Vegas, Nevada.